THIS ITEM IS NOT AVAILABLE AT PRESENT. WE WILL NOT BE GETTING ANYMORE The Jungle Book Disney Traditions Mowgli and Baloo Statue. From the Disney Traditions collection by Enesco. 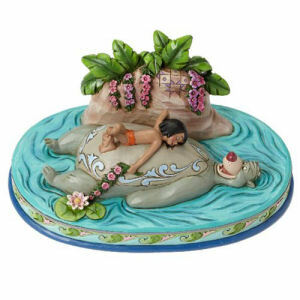 The Jungle Book Disney Traditions Mowgli and Baloo Statue. Made of stone resin. The figurine stands 4 inches tall.